For home owners in the Cheam area, glass reinforced plastic (GRP) roofs are fast becoming the most popular option for flat roofs, replacing the more traditional but maintenance-intensive bitumen flat roofs. choose from a range of colours and finishes – your GRP roofer can offer a wide range of colours and finishes, meaning you can find an option that blends perfectly with your Cheam property. Of course, as with any home maintenance or improvements, a GRP roof is only as good as the roofer who installs it. 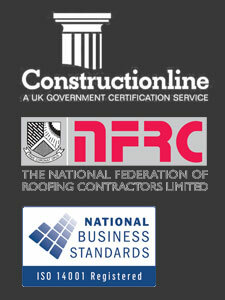 That means you should take care when choosing a Cheam GRP roofer to improve your home. Make sure they have experience and expertise in installing GRP flat roofs, so that you can be sure you’ll get the full benefits of your new GRP roof.